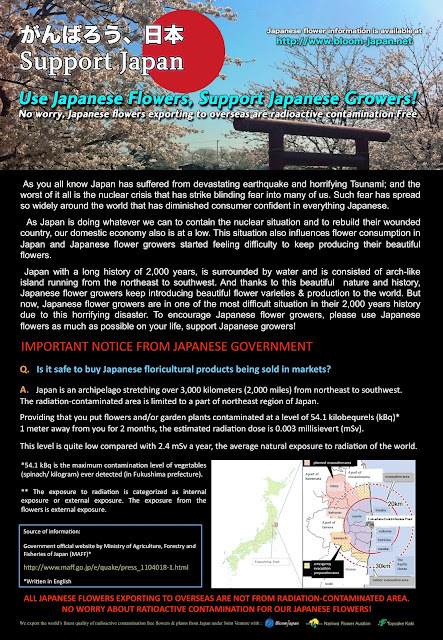 Use Japanese flowers, Support Japanese growers! 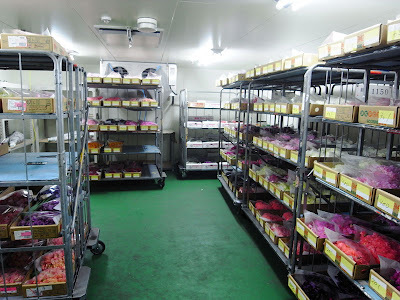 We are exporting world's finest quality Japanese flowers to New York market every week. 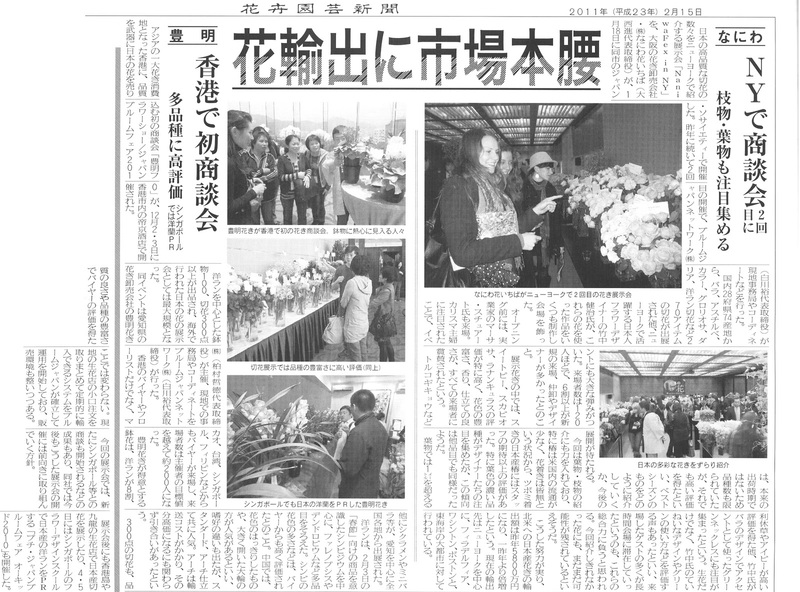 And also we are doing promotion activities of Japanese flowers in New York to develop market share of Japanese flowers in New York. 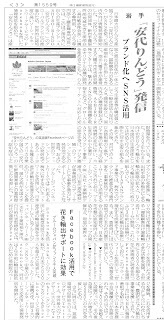 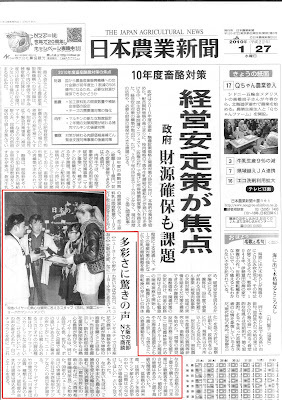 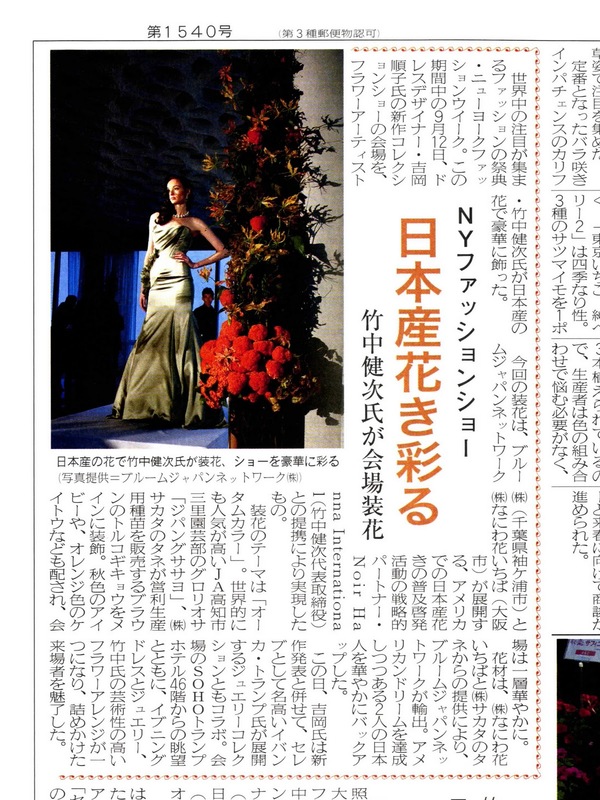 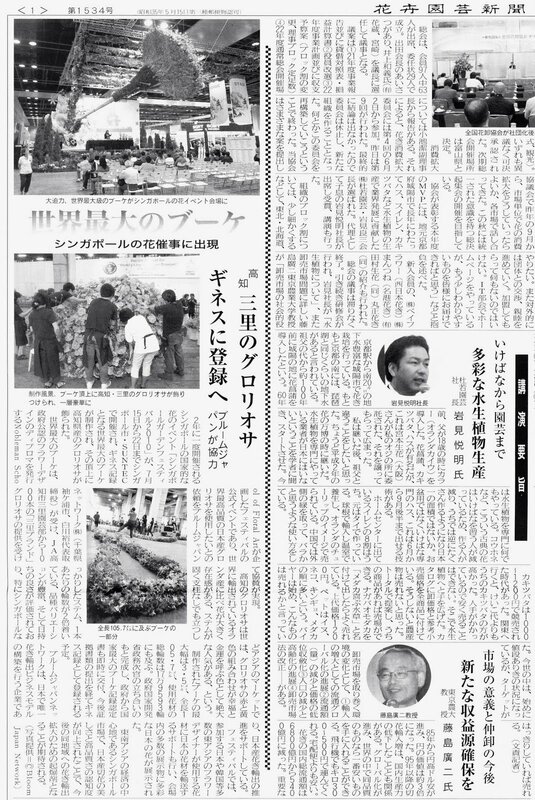 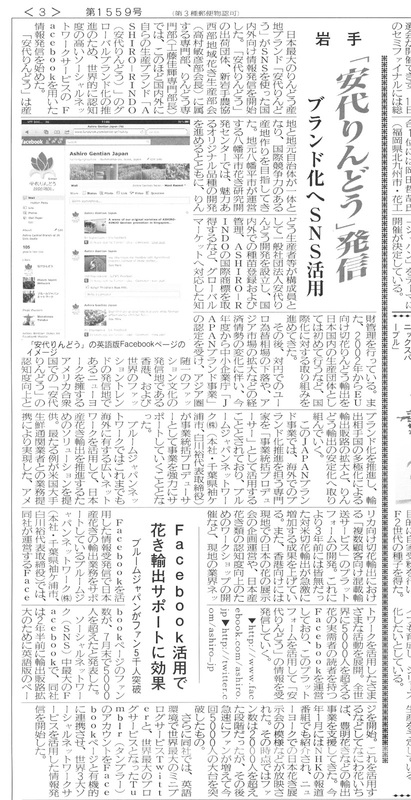 We donated flowers to Fashion Show by Junko Yoshioka, top wedding dress designer in US during NY Fashion Week 2010 Autumn and our promotion activities have introduced by Japanese newspaper. 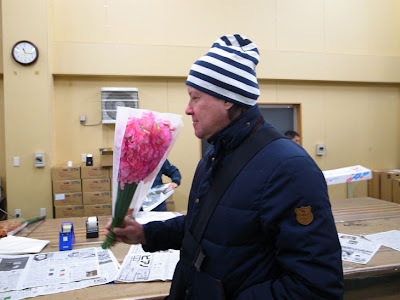 Our Japanese flowers are handled by G.Page Wholesale, Dutch Flower Line, Harvest Wholesale and J van Vliet New York in NY area and some of wholesale florist in East Coast US like Kelley Wholesale in Boston. 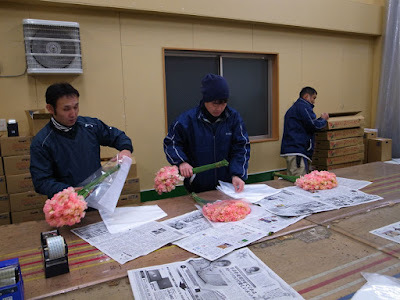 They import world's finest quality Japanese flowers from us every week and now we are the largest flower export alliance in Japan. 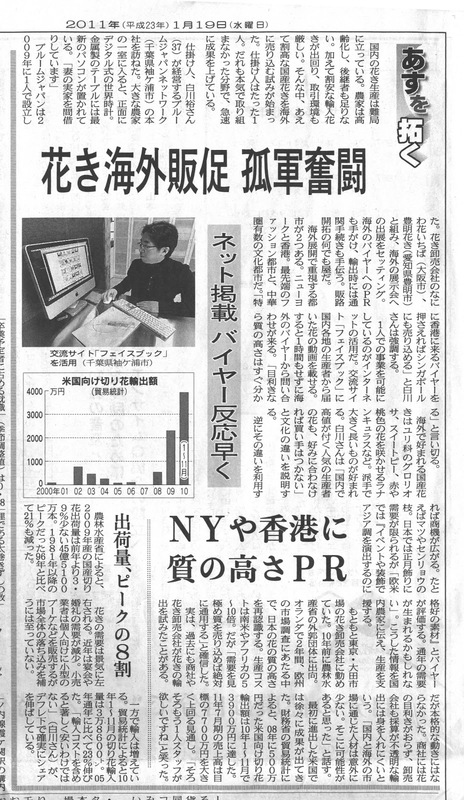 Japanese Sweet Pea season have started from this week and it is MEGA hit items in New York. 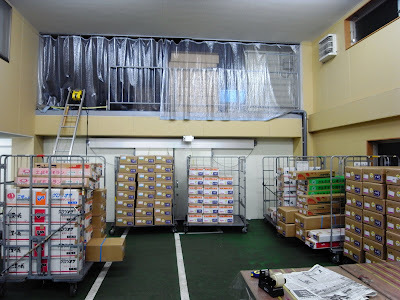 We already started exporting and quality and length will be getting better week by week. Please enjoy our beautiful winter Japanese flowers if you are in East Coast US, Hong Kong, Singapore, Russia, Middle East and also Europe. We are exporting flowers to there! 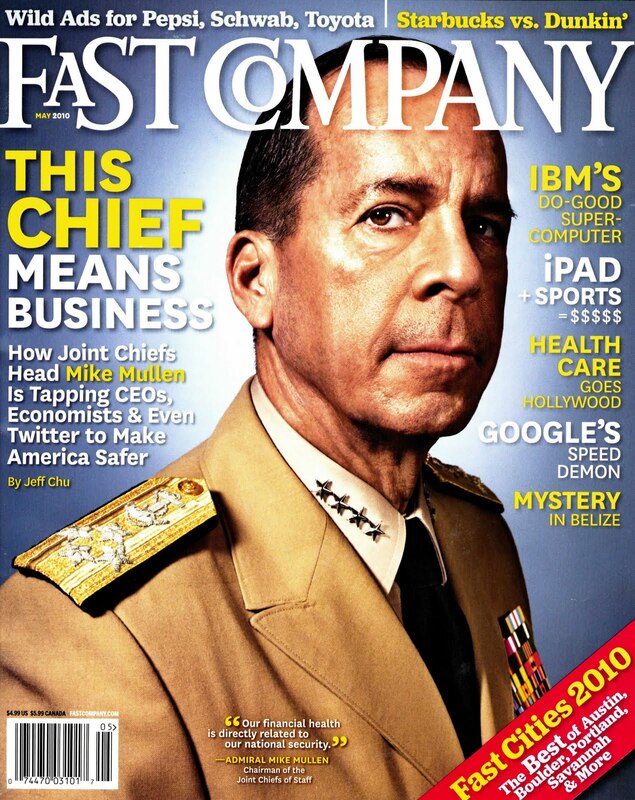 Our business in USA for Japan flower's new market development have introduced by 'FAST COMPANY ' magazine which is famous business magazine in United States. 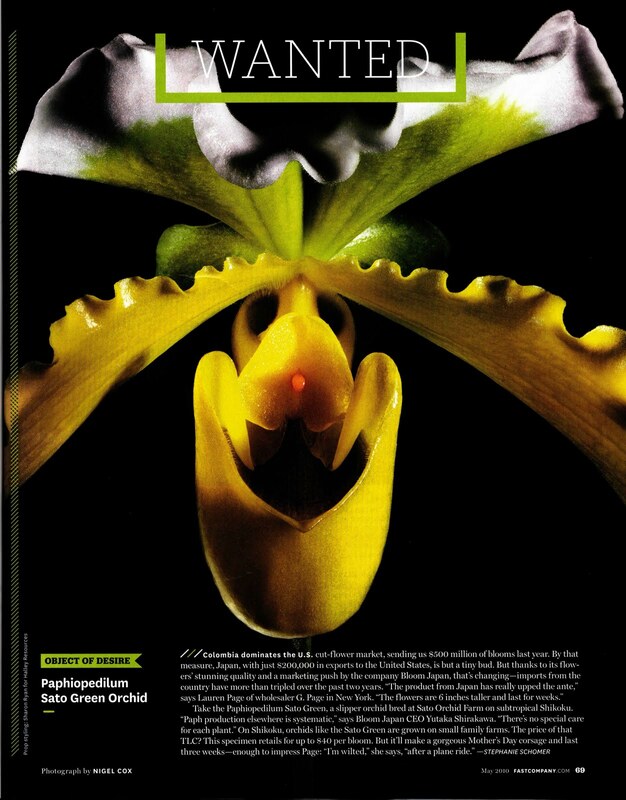 When Stephanie Schomer - editor of Fast Company magazine saw Japanese beautiful Paphiopedilum in New York, Stephanie amazed so much about beautifulness. 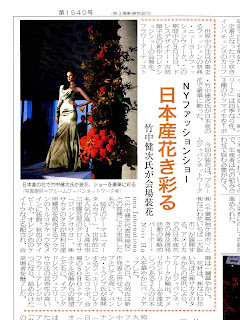 And this magazine reported our fast business development and also beautifulness of Japanese flowers.